To celebrate the opening of the V&A’s new Dr. Susan Weber Gallery of Furniture, this one-day symposium investigates furniture materials, making and design. Looking at the relationships between materials, techniques, and a wider culture of use, the symposium will address questions of technological development, adaptation, trade and cross-cultural exchange. 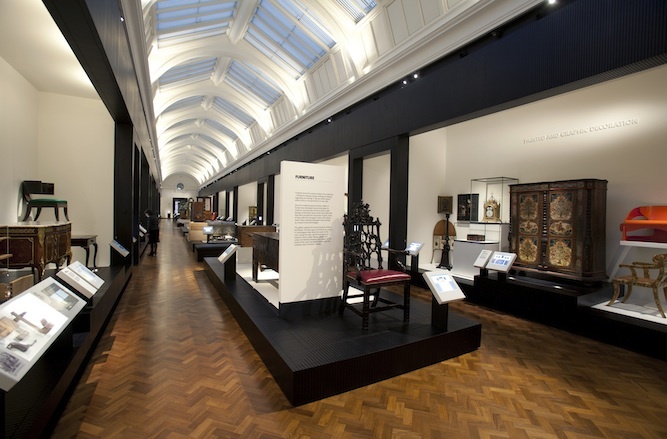 Papers from leading scholars and curators will be accompanied by two live-feed sessions in which objects from the V&A’s collection are examined in detail by experts. The day will finish with a panel discussion in which leading contemporary designers discuss the relationship between design and making. Speakers include Adam Bowett, Carolyn Sargentson, Christine Guth, Christopher Wilk, Joris Laarman, Julia Lohmann and Gareth Neal. The programme is subject to change without warning.